Parenting is a journey, a fascinating, thrilling, often challenging, and tremendously gratifying journey. It is an experience that enriches your life and makes you a better you, but it can be really, really hard. 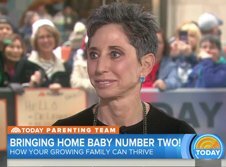 For over four decades, as a teacher, a school director, a child development and behavior specialist, parent educator, multiple birth parenting consultant, and best-selling author, I have helped parents negotiate the twists and turns, highs and lows, of parenting. In 2001, I founded, Parenting Pathways, Inc.®, a consulting service whose goal is to provide parents with the skills and confidence they need to handle the sometimes-challenging situations that inevitably accompany raising children. My services include private consultations; parenting groups; individual seminars; school, business, and community presentations. In addition, I consult on issues of divorce, including custody, as well as on school placement for preschool and elementary school. My unique perspective on a variety of topics that touch the lives of parents and families can be found in my books, my videos, and my blog.